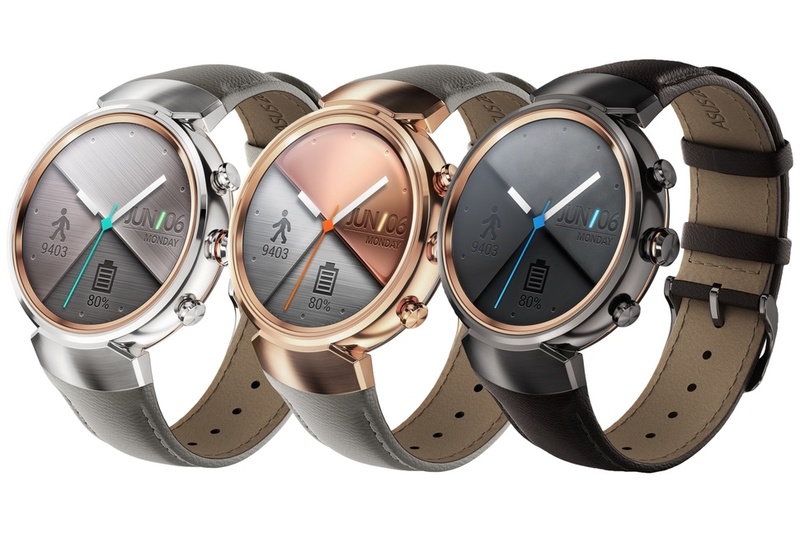 ASUS has today announced the ZenWatch 3 at IFA in Berlin, Germany, the latest entry in its family of Android Wear smartwatches. The company most well-known in the Android Wear space as being the budget smartwatch maker has continued that trend with the ZenWatch 3, but this time bringing a much more stylish watch with a circular display and three side buttons. The third iteration marks a change to round watches instead of the squared off displays that ASUS was previously using. It’s still running Android Wear, but ASUS has included a few tweaks such as their own 50 custom watch faces and ZenFit software for fitness tracking. The circular display is a 1.39-inch AMOLED screen with a resolution of 400×400 and 287ppi pixel density. There’s also IP67 water resistance, HyperCharge technology which can get the watch to 60 percent in just 15 minutes, all packed in a package that’s 9.95mm thin. The watch is also one of the first to use Qualcomm’s wearable-focused Snapdragon 2100 processors, which ASUS claims will net two full days of battery life. There’s also the company’s own HyperCharge technology that’s yet another weird name for a fast charging solution, but it does juice up 60% of the watch’s battery in 15 minutes. Not bad. ASUS has announced that the watch will be available for €229 when it releases, although there’s no word on exact release date or the pricing whenever it launches in the US. It’s likely to hit $229, but wait for an official confirmation before readying up a pre-order.